Kevin Love has one year left on his contract with the Minnesota Timberwolves, but according to a report, he's looking to spend that final year on a better team, if possible. While the Timberwolves are trying to find a head coach replacement for the retired Rick Adelman, Adrian Wojnarowski's sources say that Love is set on leaving Minnesota, whether it's through a trade this summer or in free agency in the next. The power forward has been squandered on some dismal-to-mediocre T-Wolves' seasons, and he'd like to go somewhere with a better core that can at least make it to the playoffs. Love's preferred teams are up for debate. Woj says "Los Angeles or New York" in his report. (Presumably, the Lakers and Knicks.) ESPN's Marc Stein and Ramona Shelburne believe that Love wants to go to the Warriors or Bulls. Add in the fact that the Suns and Celtics have sufficient draft picks to make a trade, and that's already one-fifth of the league which would be interested in Love. NBA rumblings are fun. Of course, no team wants to give up players and picks for Love if he's not going to sign a max contract, ensuring he stays there. 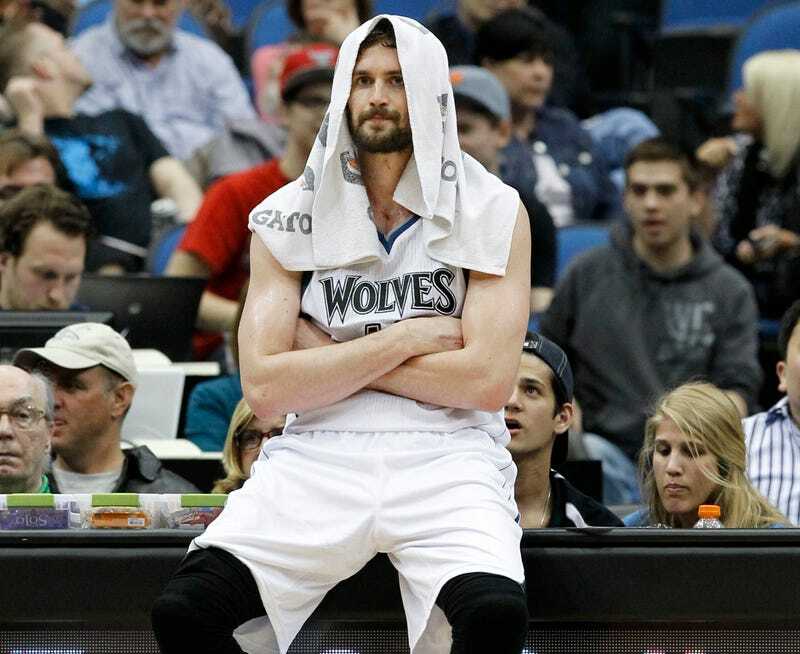 And at last check, the Timberwolves' front office still believe they can re-sign Love. But this rumored situation also screws with Minnesota's quest for a new head coach. Anyone taking the job wants to know if he'll have Love on his roster or not. So, Minnesota can ship Love and possibly take some chances at a solid draft class to build a core, or hope they succeed enough next season with him. Regardless of outcome, it'd be nice to watch Love excel on a team that can also win.